1. How can I start my own blog? 2. 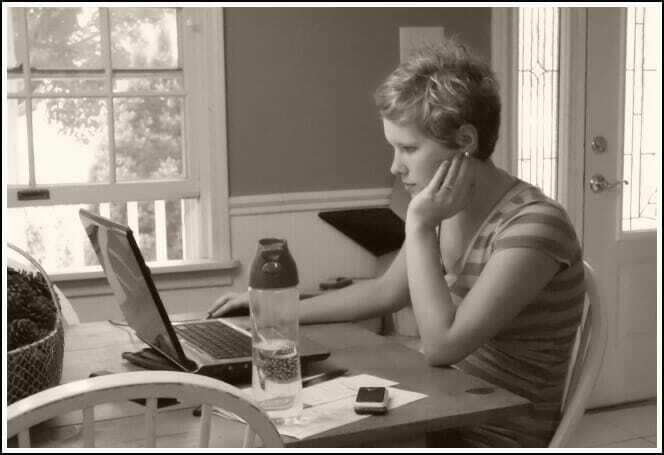 How can I become a virtual assistant? Yes, I understand why I get these emails — because I run a blog and I am a virtual assistant — and I promise I don’t get annoyed by them! However, until recently, I never had a fabulous response or a “tell-all” post that I could use to answer these questions… and there’s only so much information I can give someone via email. So two weeks ago, I shared a guest post from Amy Lynn Andrews called: 8 Simple Steps to Start Your Own Blog. It covered the basics of question #1 above — and linked back to Amy’s blog where she shares TONS of other helpful how-tos for starting your very own blog. Now I finally have somewhere to direct those questions! Today, I’m excited to share a resource that will hopefully become my go-to answer for question #2 above. I was recently interviewed (along with a handful of other virtual assistants) for a brand new eBook that launched yesterday: The Bootstrap VA – the go-getter’s guide to becoming a virtual assistant. After reading the book myself (and after working as a VA for a couple years now) I would highly recommend this ebook to anyone interested in working as a virtual assistant. 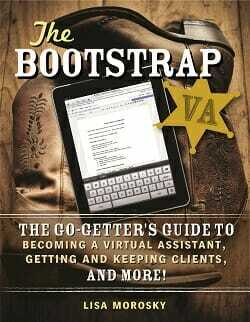 The Bootstrap VA: The Go-Getter’s Guide to Becoming a Virtual Assistant, Getting and Keeping Clients, and More! is a 154-page, organized brain dump of everything Lisa Morosky has learned and experienced (and what she wishes someone had told her) over her four years of building, growing, downsizing, and repositioning a business as a virtual assistant. The eBook includes chapters on creating your business plan, setting up your business offline and online, getting clients, working with and keeping clients, alternative income streams for virtual assistants, and more. It also includes interviews with successful virtual assistants, interviews with clients who utilize a virtual assistant, resources at the end of most chapters, a 30-day reading guide and action plan, and access to The Bootstrap VA Facebook Group where readers can bounce ideas off of each other, ask Lisa questions, and get the support needed no matter where they are in the process of becoming and working as a virtual assistant. If you want to get started as a virtual assistant, and you’re a go-getter looking to bootstrap your way to success, this is an eBook you can’t afford to miss. Obviously, just reading this book will not guarantee a successful VA career… but for $12.99, you’ll get a ton of helpful information and insider advice from a successful Virtual Assistant at a fraction of the cost of one-on-one coaching! So, it looks like I now have an answer when people ask me for information about becoming a virtual assistant! Thank you so much for this advice – it’s been really really encouraging to read and I feel a renewed sense of purpose! I read this post and thought it was extremely helpful. My girlfriend bought this ebook and said it was jam packed with information. It’s on my to do list! I run a website that offers reputable products, like this one, so I would definitely consider putting this on my site! Good luck! I did subscribe to Amy’s blog when she did a guest post on your blog. She has great advice Thanks! I am to the point where I NEED a virtual assistant. Will this book help me with that? It’s geared more towards folks who would like to work as a VA, than for folks who want to hire a VA. BUT – this eBook would help you with your situation – http://www.hirebloghelp.com/. Congratulations to Lisa. I’ve seen her over on Gluten Free On A Shoestring community page, the old format and the new as well. And thanks for the info Andrea. Thank you!! I can’t wait to read this! This is great. Thanks, Andrea! Currently I work as a freelance writer, but once my son is out of the toddler phase I’d like to move toward virtual assistant work. I’ll bookmark this post for the future.